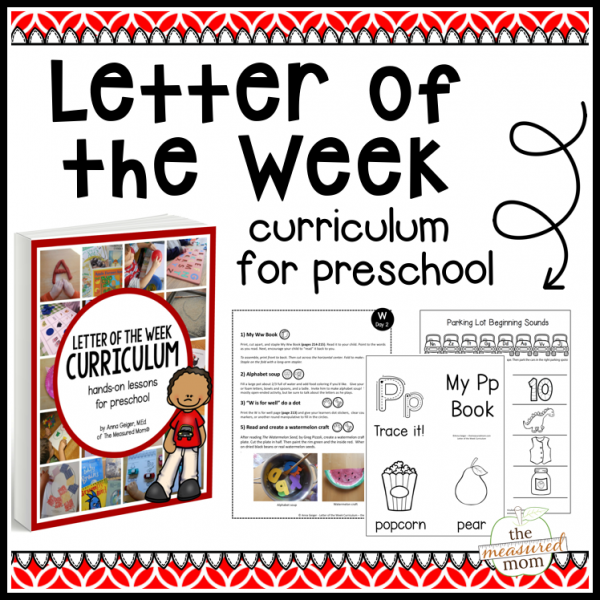 Looking for a creative, hands-on letter of the week curriculum? 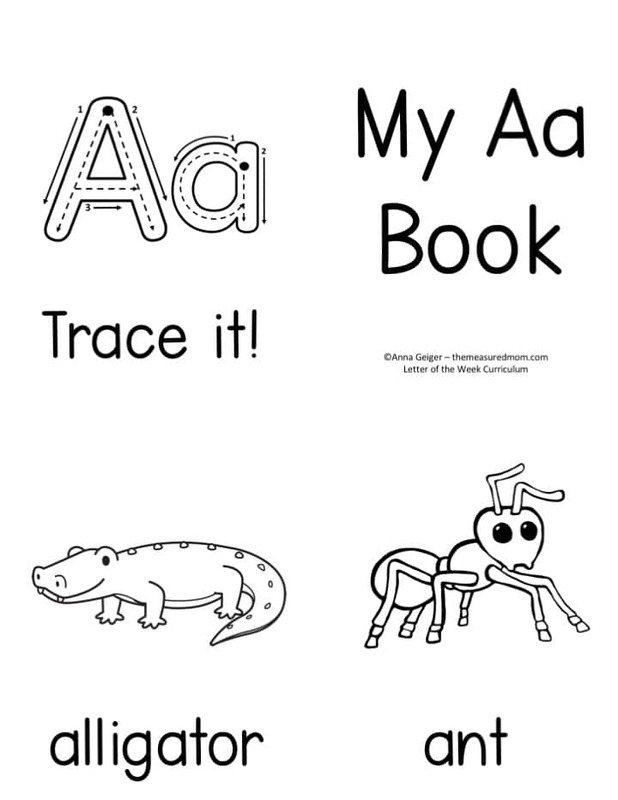 I’ve organized the very best alphabet activities into daily lesson plans perfect for kids ages 2-5! 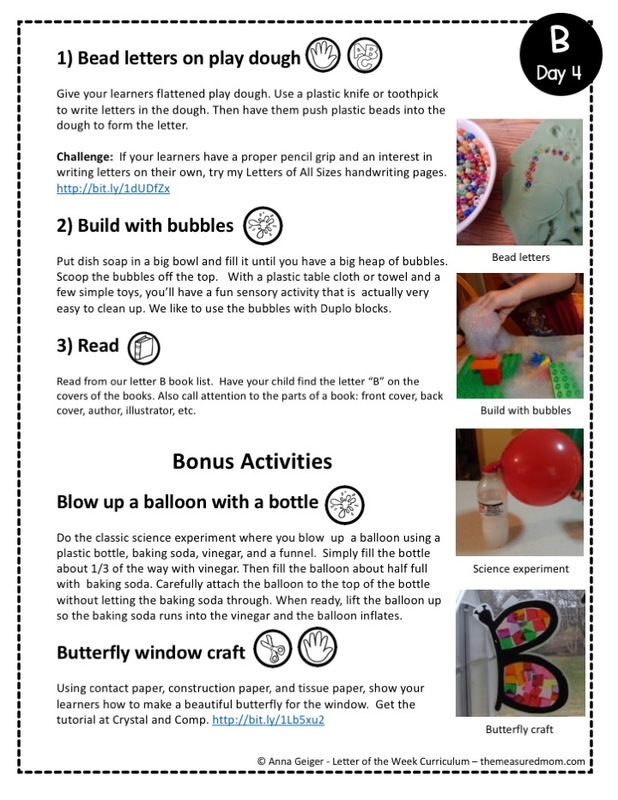 Download this ebook and have countless hands-on, creative learning activities right at your fingertips. Follow the daily schedule or use the ebook as an enormous resource. 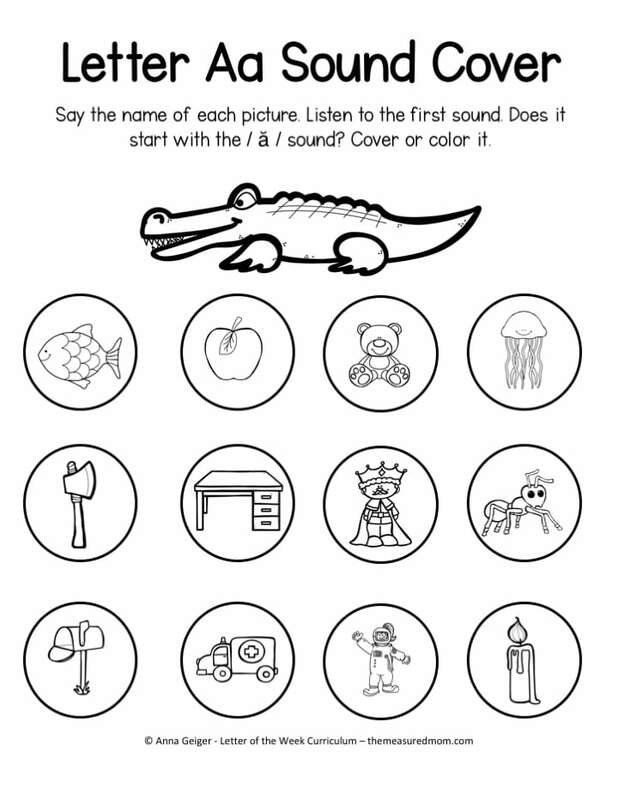 Scroll down for a sample lesson and a video preview! 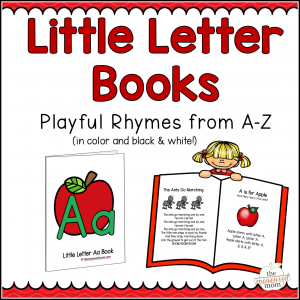 With your purchase you’ll get two digital files containing over 500 pages of hands-on preschool lesson plans and printables for teaching the alphabet. 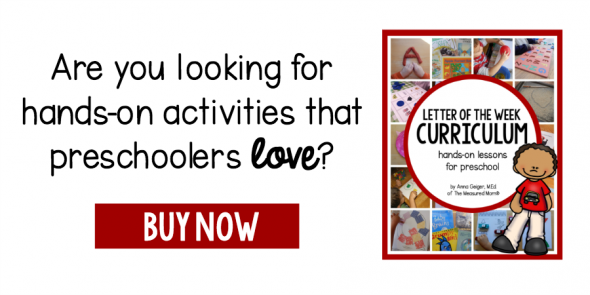 Not only will you get four days of lessons for each letter (plus optional bonus activities), but you’ll also get a detailed guide and an appendix that’s bursting with even more ideas for preschool learning! The files will be sent directly to your e-mail, where you can download and save to your computer. 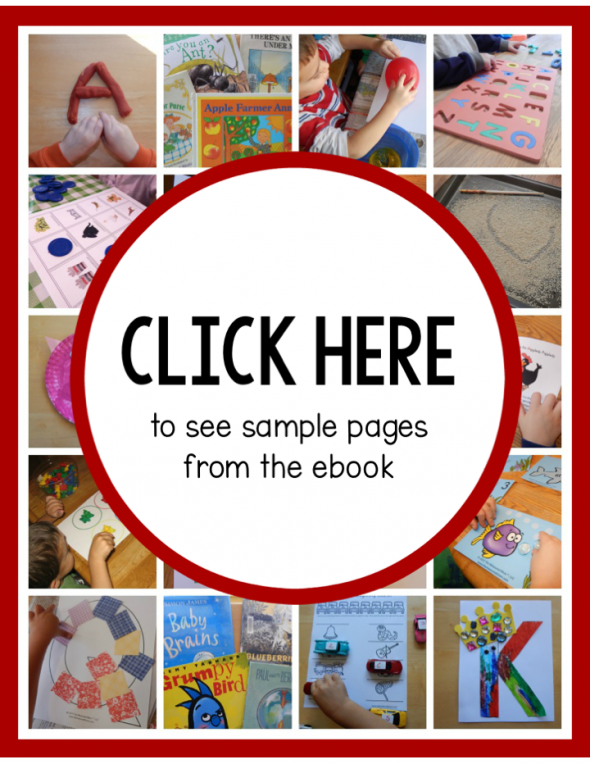 Check out all the goodness in this 517-page ebook! Each day’s lessons take an estimated 20-40 minutes. 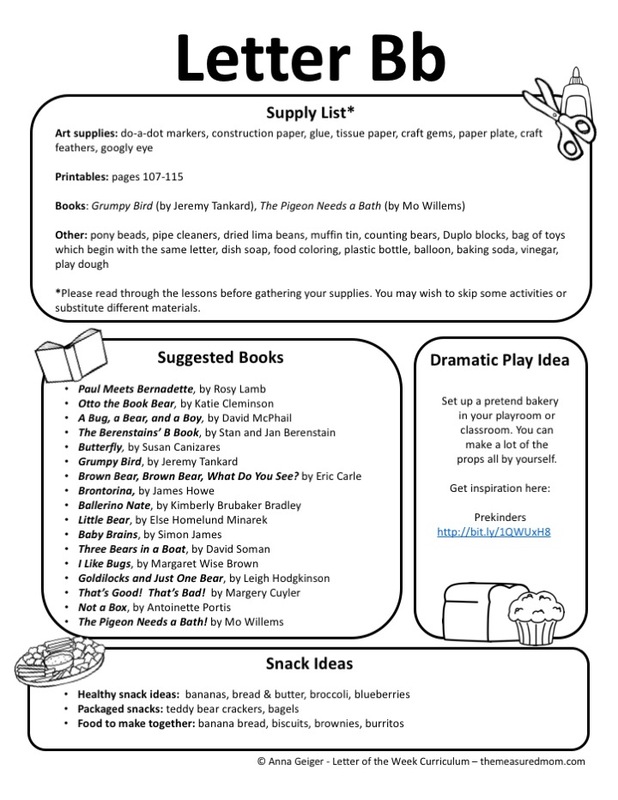 Each week’s lessons include a book list, crafts, process art, math connections, multi-sensory activities, whole alphabet learning, a name activity, and both fine and gross motor fun.